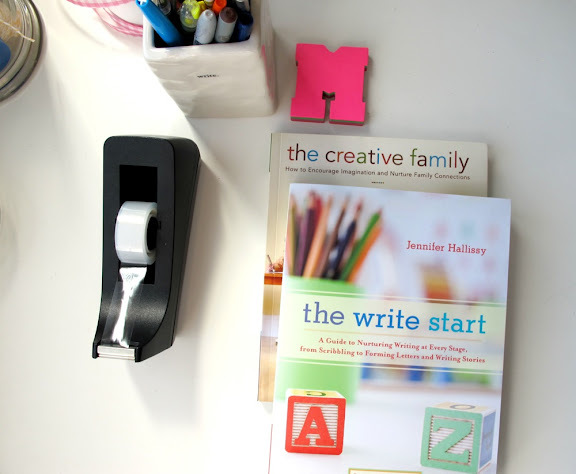 i was excited to receive two books from shambhala publications, inc. they kindly requested my review of The Write Start by Jennifer Hallissy (mom, writer, blogger and pediatric occupational therapist). i love writing, believe in the power of writing and hope to help my kids express themselves through writing someday, so this seemed like a book i could sink my teeth into. 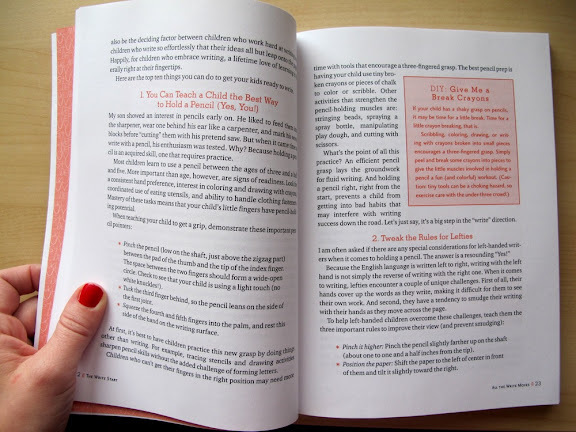 i was happily pleased with the creative ideas included in this book intertwined with writing techniques and information every teacher/mom should know! the write start is bursting with ideas (fun and simple and child-friendly) to help children learn to write, love to write, and build strong creative writing skills. my son is still small, but i feel more excited about nurturing his scribbles and making writing fun. this is a perfect book to help children prepare for kindergarten and beyond. i like the premise of this book; writing is not just for class assignments, it can be a creative skill to cultivate and celebrate right at home! 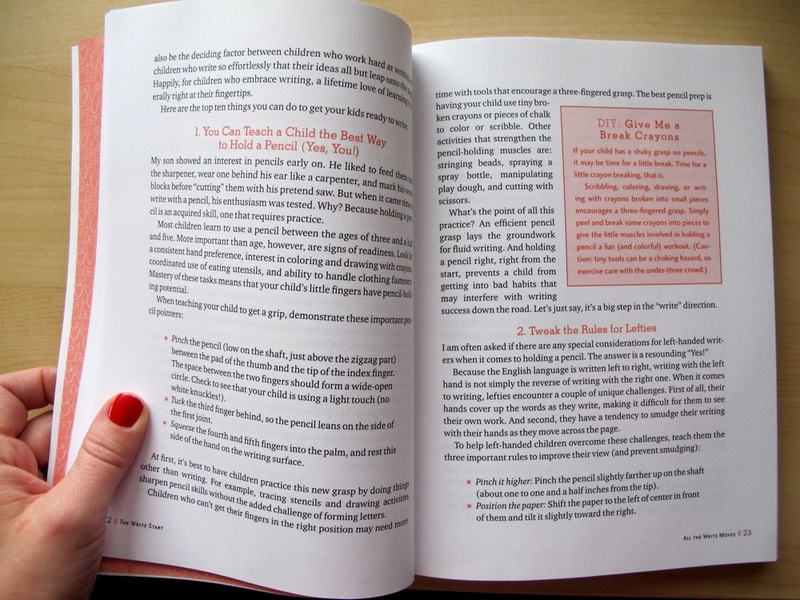 with an easy-to-flip-through format (yay for shaded boxes, yay for checklists, yay for easy to follow instructions), it was simple to browse the activities (neatly broken into chapters) even when i didn't have time to read it from start to finish. i like that every activity (52 in all) is clearly defined with a materials list and then a simple how-to explanation and a few variations. there is a handy contents page listing all the activities too. i plan to star and underline the ones that become family favorites. this book doesn't feel like a chore to read, like some parenting books do. i can imagine having a fun weekly writing project when benji gets older and whipping out this book five minutes ahead of time to prepare for a little game we can do together. super easy for busy moms. each activity has variations to fit your child at every stage; scribblers, spellers, storytellers or scholars. i love that these activities can grow with your child. a few activities that look fun to me are: secret code, listmania, message in a bottle, invisible ink, sand writing, and poetic license to name a few. another idea that looks cute is called table talk; simply use something called chalk cloth as a tablecloth (like a ready-to-go large chalkboard to wrap a child's desk in. must locate this magic material soon.) the activities reminded me of memorable projects i did as a kid. i remember (and still have) my first diary, complete with a little lock on it. i am oh so happy my parents made it a special outing to go buy it together. i also appreciate the educational information about the importance of building strong hands in little ones for stronger writing skills, working with left-handers (my two-year old is a lefty!! ), and dozens of great resources to remember and stock in my craft closet (butcher paper! bathtub crayons! chalkboards! post-its! alphabet magnets!). i am glad i have this book while benji is on the cusp of learning such important lessons. many of the activities in this book are not revolutionary, however they are just the ticket on a boring afternoon. i like knowing i have a creative resource to turn to with a collection of ideas to inspire me to teach and have fun and participate with my family. 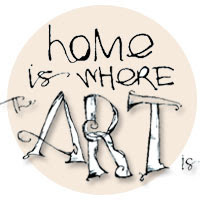 keep up with jennifer and her great ideas on her blog; the write start. if you have a product you think my readers would enjoy, please contact me. I'm happy to learn about this book. I've lost my writing edge (I loved your write prompts, btw) but I long to have it back. I'll definitely check this book out. I just ordered this book because of your review. My oldest is in Kindergarten and at the perfect age to really instill the love of writing. Great review. Keep them coming! This looks like a book I would love. Thanks for reviewing/recommending it! This sounds like a wonderful book! My oldest is a lefty as well. It causes a few problems with writing. I'd love the tips. i will have to check out this book. i am pretty stinky at putting my thoughts into words. maybe this would give me some insight. Oooo, I'm excited to check this out. Our elementary school did not have a cohesive writing program until last year when my oldest hit 5th grade! Oh how she has suffered. I've taught her what I can, but it would have been nice to start from the beginning. I will definitely recommend this to my teacher friends. this is great! i'm in my masters of education right now and many of us in the program have questions about how to nurture young writers. i will be picking up this book right away. 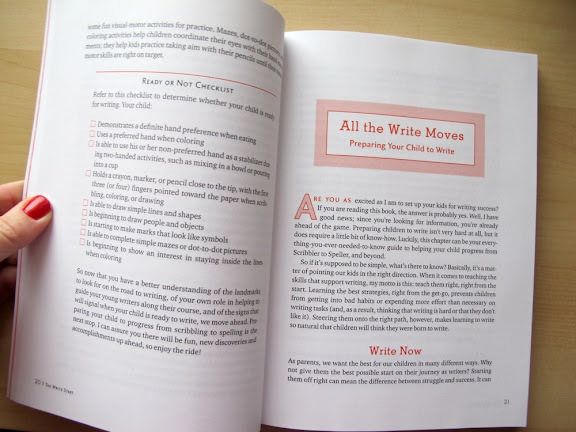 almost forgot--another great book about kid's writing is called "raising writers" by ruth shagoury. she's my professor in grad school and i really enjoyed reading this book. it has lots of fun examples of children's writing. excellent review, book added to my wishlist. :) and....is it possible that our look-alike-2-year-old sons are BOTH lefties? my son always throws a ball left handed. made me chuckle-maybe our little boys can be penpals someday since it seems they have oh so very much in common! boy, do i heart this. you would find something as awesome as this, mart. i always appreciate your reviews! having seen the good and the bad scribble skills in real life at preschool, this book sounds to me like a piece of genius. way to go, miss smart mom. benji's future teachers are going to love, love you! 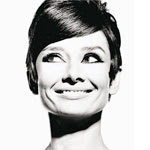 enjoy every minute of being "on the cusp" with b.
what a small world indeed. Another fabulous literacy resource is How to Get Your Child to Love Reading, by Esme Raji Codell.